Whether you are cutting a single sheet of paper or fifteen at a time, dahle's vantage trimmer is the perfect tool for all of your cutting needs. This traditional style paper has many unique features that offer safety and convenience while giving you the accuracy you require. Note: Product arm will be bent for better cut. Please verify user manual among the images. 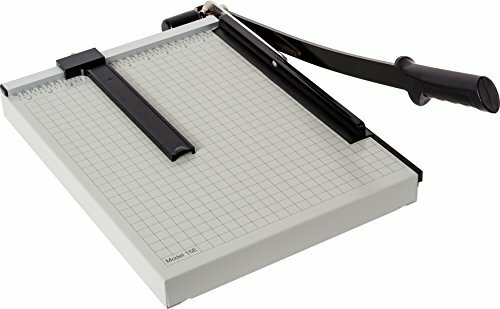 Premier W12 The Original Green Paper Trimmer, 20 Sheets, Wood Base, 12 1/2"x 12"